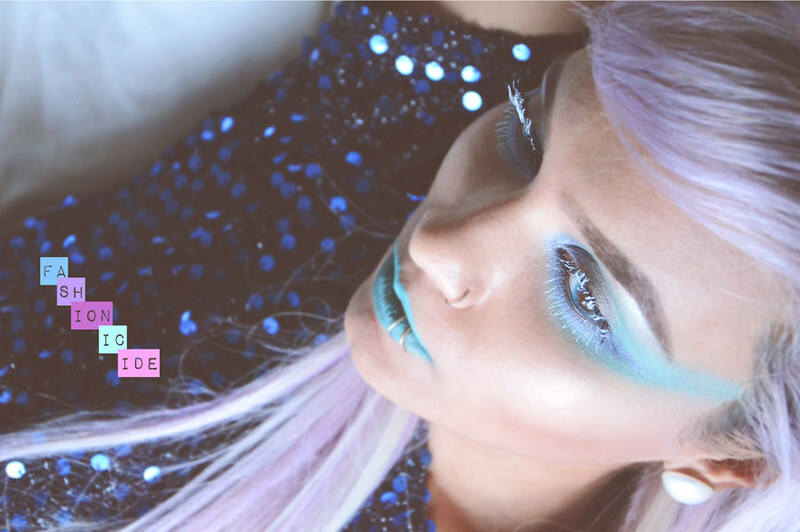 MAKEUP LOOKS // ICE QUEEN & How to White Those Eyelashes! Anyway, I've moved to a new area of Manchester lately and maybe it's just my undying loyalty to the area I used to live in talking, but it actually feels much colder in these parts. To make me feel warmer, I was watching 'The Lion, The Witch & The Wardrobe' (because that makes everyone feel warmer) and thought it'd be a great idea to try my hand at an Ice Queen look. If you think about it, Ice Queens haven't really had a great time of it. From a young age cartoons teach us that anything ice cold (or blazing hot) is a bit evil, maybe Frozen will change that - if it doesn't annoy people from being forced upon us as a classic, that is. Who decided that? Was there some kind of vote? Anyway, the best known Ice Queen is obviously Jadis, the White Witch, from CS Lewis' The Chronicles of Narnia, and I have to say her style has always been on point. So yes, she may be evil, but she is blessed with a fabulous wardrobe. So my Ice Queen look was kind of an 'Ode to Jadis' in a way, cool tones everywhere with the Pièce de résistance being my frosted lashes. I've always wanted to have an excuse to splash some white on the lashes, but until now could never find one. There are other ways to get frosted lashes - e.g. applying some liquid nitrogen to them or wetting them and sitting in a walk-in freezer for 10 minutes - but they seemed too dangerous and/or cold so I went with something a little more sedate. It was interesting though, because I went out on a Friday evening sporting this look, and a few people stopped me on the street to say how I actually looked like an Ice Queen. For me, that moment was a bit like when you're playing charades, it's the final round and you've been given a toughie yet somehow your team actually guess it to win the game. Quite satisfying. Simple, I brushed them on! I applied a coat of my Soap & Glory 'Thick & Fast' mascara to gain some length, then in true Blue Peter style I rooted around the bedroom for an old mascara wand. Once I found one, I poured out a little bit of Illamasqua's Precision Ink Liner in Scribe, which is pure white, on to the wand and painted on my icicle-esque eye lashes! As I said earlier, the lashes really were the Pièce de résistance or the cherry-on-top, but there are a lot of other aspects that combine together to make this look work: the aqua-blue contacts make me look significantly more icy than my natural brown marbles and my pastelly lilac-white-blonde hair combo also adds to the icy effect. The make-up around the eyes intentionally makes use of 'cool' tones and Illamasqua's spine-chilling Apocalips makes for a sterling supporting actress to round off this star-studded ensemble cast. I'm actually quite proud of this look and the effort that went into making it all work. It's no easy task to take inspiration from life as it's happening in front of you, divert that into something you're passionate about and create something original and interesting from it. Sometimes make-up is sneered at or looked down upon, but the creative process that goes into making a new look shows just how much of an artform it really is. Have you tried anything different, unusual or creative with your makeup lately? Love the makeup!! you really suit it especially the apocalips lipstick :) I try different makeup looks most days usually, I like bright shadows or vibrant lipsticks sometimes even both. p.s. can we play Charades during #dating101? This look is so amazing! 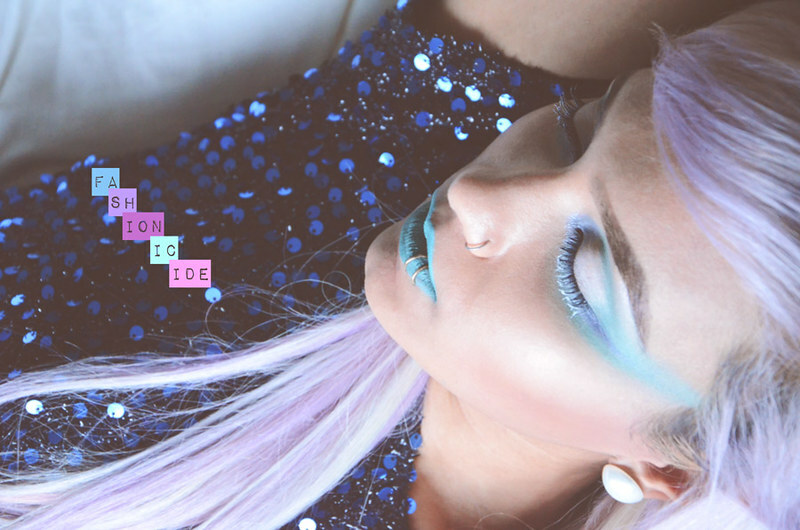 I like how you've done the eyelashes very Ice Queen esque. So stunning!! I am not as creative to emulate looks like this but its soo cool!! Girrrrrl, it's people like you that keep me afloat in the blogging world! It always blows me away when I'm told I'm inspirational. Haha, yes! F**k it all, wear what you want, do what you want (as long as it's legal though, yeah?) it's the attitude that makes you. This make up looks incredible! I usually play it pretty safe make up wise, with foundation, blush, mascara and a touch of eyeshadow, but seeing as it's nearly 2015 I think I need to be more adventurous. This has definitely given me some inspiration! I've always been a bit terrified of trying white eyelashes but these look awesome!